I don’t know about you, but I have a big list of “wants” this year as our country readies itself to elect a new leader. I want a leader who has Biblical values. I want a leader who has strong moral conviction and will not compromise it. I want a leader who is easy on my wallet and hard on terrorists. I want a bigger stronger military and a smaller government. I want to keep my guns, keep my healthcare, and frankly…I just want to keep my sanity. My list could go on and on, but you get my point. I have given my list to prayer and I pray A LOT for it. I have been praying for a president who will give me the greatest chance of my seeing my list fulfilled. I want the president that I “will” to be elected to the office of this great nation. However…do you realize that God has already made His choice for president? The God of the Bible is a sovereign God, an omniscient One, who ordains powers and all who are in authority. He has a divine will and in all of our praying, it is important that we keep in mind that God will not change His eternal purposes at the word of men. A.W. Tozer in the book “The Price of Neglect” said this, “We do not pray in order to persuade God to change His mind. Prayer is not an assault upon the reluctance of God, nor an effort to secure a suspension of His will for us or for those for whom we pray. Prayer is not intended to overcome God and ‘move His arm’. God will never be other than Himself, no matter how many people pray, nor how long, nor how earnestly.” In other words…our prayers, for the president of our choice, will not change the mind of our God. He has already ordained it. No one persuades Him. “So why even pray?” you ask. Well, we need to start praying according to God’s will and not our own. Have confidence in the sovereign God of the Bible and the fact that we will have any thing we ask of Him if we pray accordingly. I’m very thankful that God is not sitting in Heaven being on the verge of changing His mind because of my fervent persuading prayer for Ted Cruz one day. Then, waffling the next day because of the fervent persuading prayer of another preacher friend for Marco Rubio. To only hear the prayer of another christian on the next day to exalt Donald Trump to the Oval Office. I didn’t mention Hillary at this point, because no God-fearing, Bible-believing, christian would petition God to elect her 😉 God is not an indecisive basket case. Not my God anyway. You see…prayer changes me, not God. 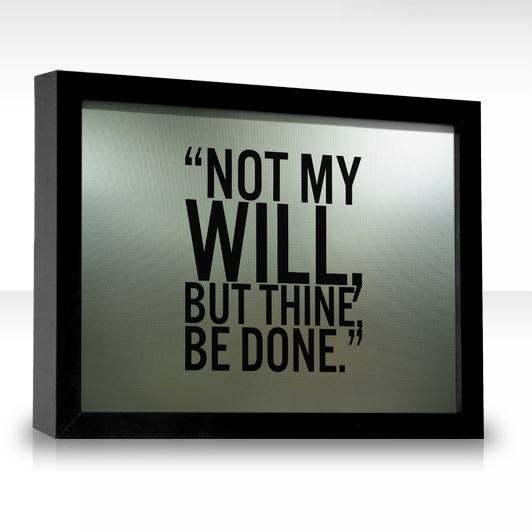 I need to bring my will in line with God’s will. I do that by communing with Him, by worshipping Him. I need faith, I need godly contentment. I need affections that are set on things above. I need to have the mind of Christ. I need the peace that only God can give…not a president…not any man. Pray. Pray lots. Pray hard. Fast. BUT pray for what God wants…not what you want. And see your prayers always answered.